CADFEM service provides CAE licenses on demand based on a permanent internet connection. 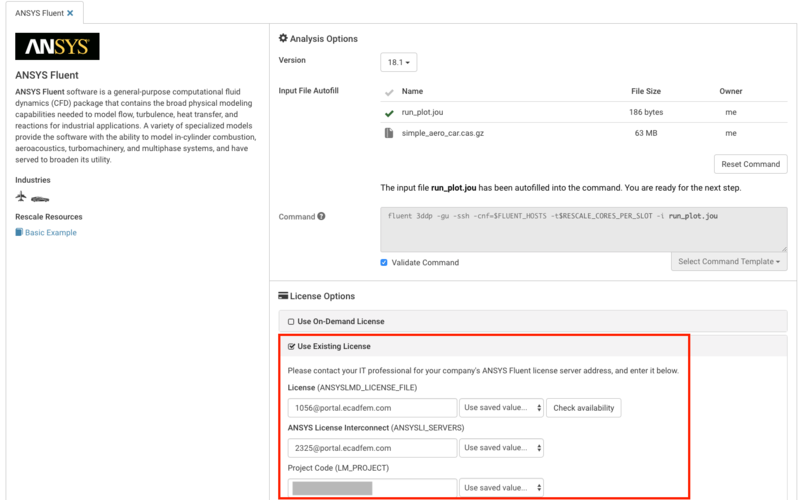 In this section we present instructions for accessing eCADFEM ANSYS licenses on Rescale's ScaleX platform. CADFEM provides an unique value for the variable (LM_PROJECT) which is a 12-character combination of numbers and letters. 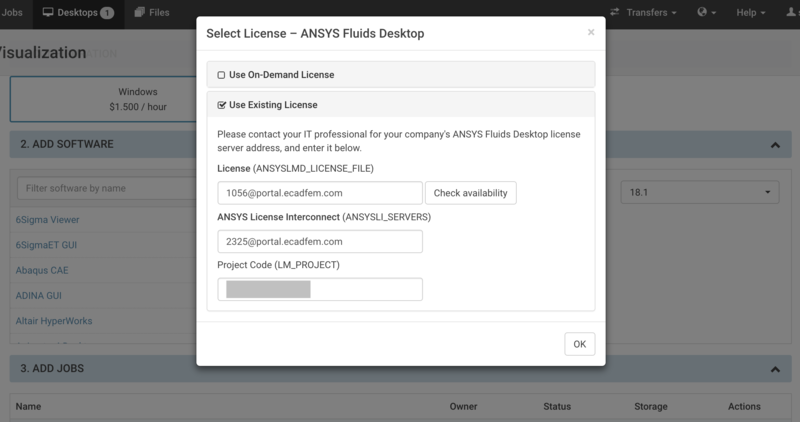 After you have obtained an LM_PROJECT code from eCADFEM you can follow the instructions outlined below to run ANSYS jobs and spin up Rescale ANSYS Desktops on ScaleX platform. NOTE : To obtain eCADFEM ANSYS licenses, users will have to reach out to eCADFEM directly since Rescale does not provide the licenses. Please contact ecadfem@cadfem.de for obtaining the licenses. More information can be found on www.ecadfem.com. 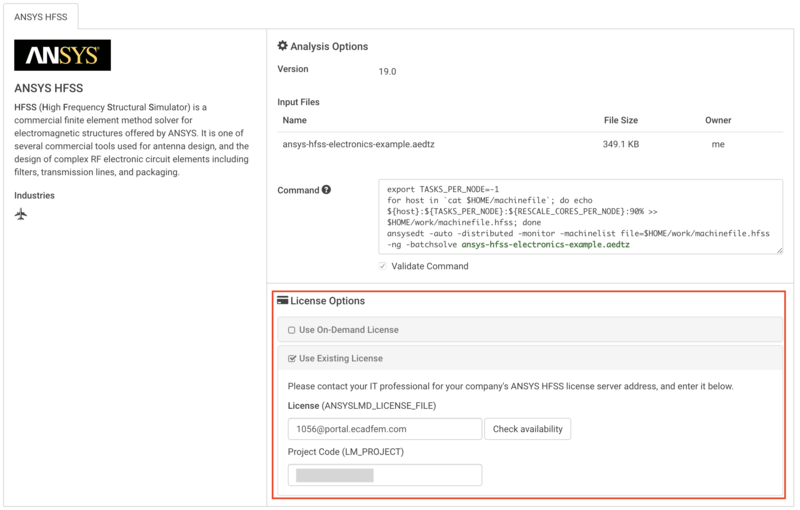 Similarly for ANSYS HFSS, ANSYS Maxwell and other software packages (which do not require ANSYS License Interconnect), only the ANSYSLMD_LICENSE_FILE field and Project Code (LM_PROJECT) field needs to be populated.